Mid Century Modern Styled Ceiling Mobile. Modernist ceiling mobile in various shades of green. 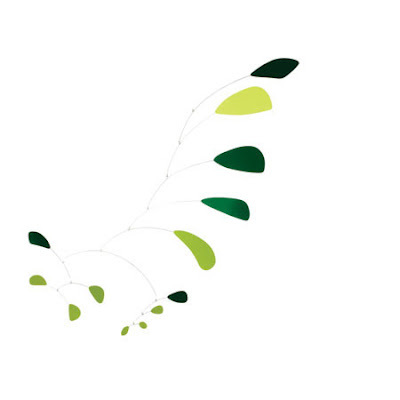 We love this beautiful elegant modernist ceiling mobile with its calming natural colors. 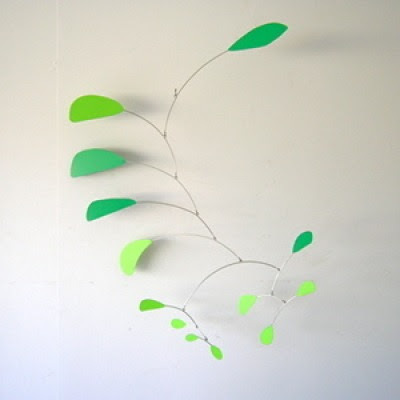 A great addition to any mid century modern interior in the style of Alexander Calder's iconic Calder Mobiles.